squirtledogg.tumblr.comGreetings, my fellow Pokémon players! For my second article, I am going to focus on one of my favorite decks in the current format: Empoleon! The first time I ever played Empoleon was for Autumn Battle Roads and I had some success with it, going 3-2 and missing out on packs by two spots. Then I deviated from that build and went to an Empoleon/Mewtwo/Sigilyph build for Cities. I went a combined 5-5, placing 11th and 14th. I then moved on to Garbodor, which I covered in my last article. I am determined to give Empoleon another shot at Spring Battle Roads. There are four different Empoleon variants that I intend to cover in this article: straight Empoleon, Empoleon/Terrakion, Empoleon/Mewtwo, and Empoleon/Landorus/Dusknoir. Emolga is one of, if not the best opening Pokémon in the format. For any Energy you can get any two Basic Pokémon out of your deck. Emolga’s free retreat cost is another nice aspect, allowing you to retreat into the Pokémon you’ve set up on your bench. Emolga allows you to fill up you bench quickly, helping to maximize the damage you can do with Attack Command. Pepe Le Pew’s favorite Pokémon. I have used this card in almost all of my Empoleon builds and it is a very effective search card. It has a solid 90 HP and a one Energy retreat cost, which keeps it from being a clunky bench-sitter. Its Ability, Le Parfum, is a nice compliment to a deck that needs a little help in the search department. This may be an unpopular choice, but Mew is a huge help in fending off its genetic clone, Mewtwo EX. One of the few things that gives Empoleon trouble is something that will consistently take one hit knockouts on your Pokémon. 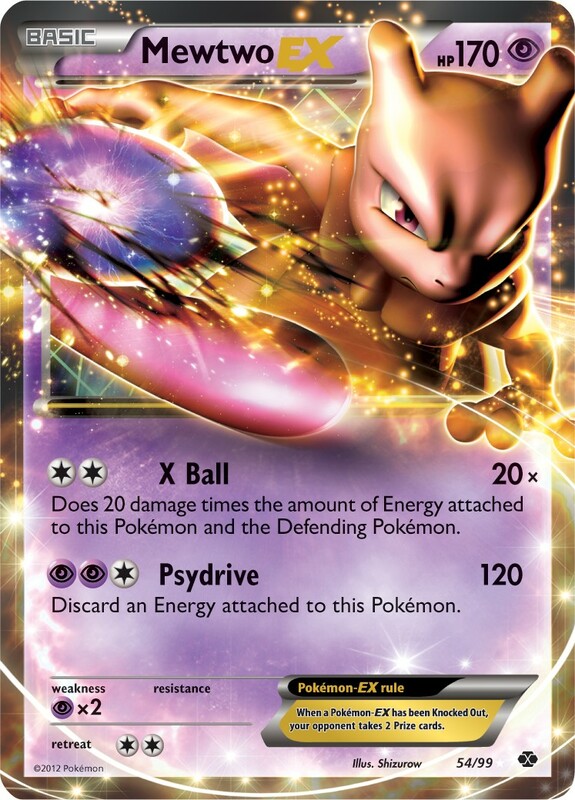 Mewtwo can do that with six energy attached. Mew is an important asset to the deck that can turn the tide of a battle. I run four of these bad boys because I was told by the man who checked my deck at State Championships that I could not run ten. Aside from that, this card gives Empoleon something that is has been missing: a damage adder. This card can turn 3HKOs into easy 2HKOs simply by adding 30 damage in between turns. Another bonus is the chance of preventing an attack on your Empoleon for one turn. 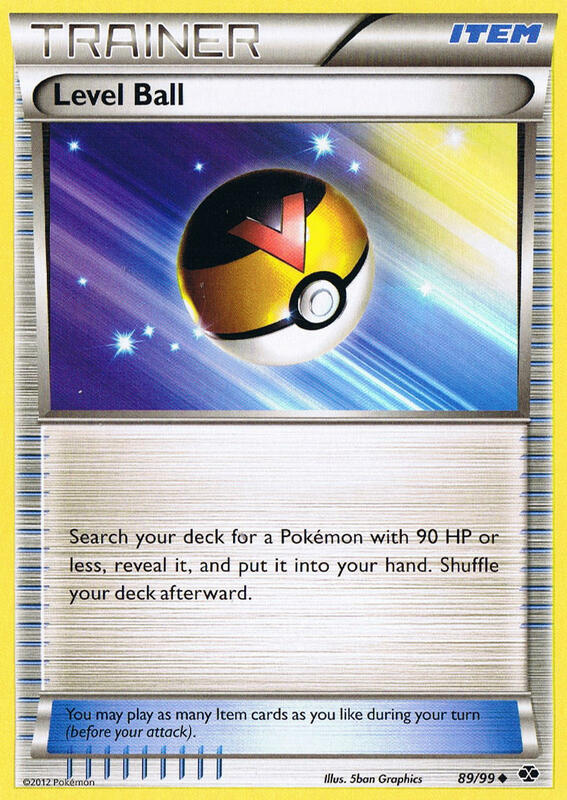 Ultra Ball does not work in this deck because you are discarding valuable resources when you use it. Instead, Pokémon Communication allows you to replace the card that you removed from your deck, helping to slow down your deck consumption from Diving Draw. Max Potion is one of the cards that makes Empoleon truly great. It can turn 2HKOs into 3HKOs and drive your opponent crazy as they find they are unable to take a single Prize while you are taking multiple Prizes by knocking out their EXs. You can afford to run a lower count of Switch in this deck because there is nothing that can be Catcher stalled, as the highest retreat cost in the deck is two, and that belongs to a card that can attack for one Energy. This deck requires two Super Rod because of the amount of cards you will be discarding throughout the game. This card is highly useful when you need a couple Basics to bench for Attack Command or to just add three turns to the game. 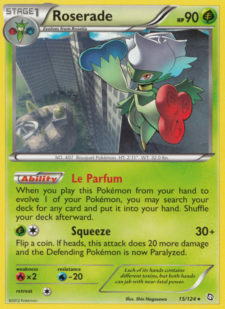 Pokemon ParadijsLevel Ball is a great card in this deck, giving you the power to get any Basic you need besides Mew EX. It is also highly useful because it allows you to get Roserade out for no cost. Recycle is a very underrated card and is very effective in Empoleon decks. If you hit the heads, all you need is to use Diving Draw and that card is in your hand. This card can be a fifth Catcher, fifth Hypnotoxic Laser, or fourth Max Potion. Virbank is in this deck to increase the power of Hypnotoxic Laser and to generate as much damage as possible off of it. This deck is intended to take full advantage of one the greatest advantages Empoleon has over the rest of the format: its ability to win in the Prize trade. Trading 2HKOs is what Empoleon does best, and it only gives up one Prize to the two your opponent is losing every time you score a knockout. The Mew EX can be dropped for another Basic, such as another Emolga. It can also be dropped for an extra Prinplup. This list is also very consistent and does not fool around with the likes of Blend WLFM and Fighting Energy. The reason for that is that the format is no longer being terrorized by the likes of ZekEels. Terrakion is highly useful for taking OHKOs on Darkrai EXs, Lightning type attackers, and 2HKOs on everything else. Its low cost Retaliate attack can provide instant offense off the bench. One of the scourges of Empoleon decks are cards such as Zekrom BLW, Zekrom EX, and Raikou EX. Terrakion kills them right back, and in most cases taking two Prizes in the process. Stunfisk is an excellent opening attacker and is the equivalent of a weaker Landorus. 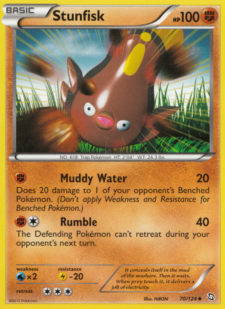 Its first attack, Muddy Water, does 20 damage and 20 to any benched Pokémon for one Fighting Energy. This is enough to donk any Tynamo. 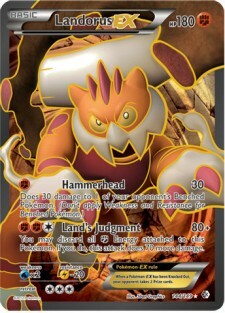 Its second attack, Rumble, does 40 damage and prevents the Defending Pokémon from retreating the next turn. Stunfisk is a great starting Pokémon that only surrenders one Prize. The Switch count needs to be higher than the previous build because Terrakion has a four Energy retreat cost and Stunfisk has a three Energy retreat cost. These two Pokémon can cause you some significant Catcher-stall problems and running higher counts of Switch helps to solve this problem. Blend Energy is the main reason that Water and Fighting Pokémon are compatible. It provides you with both Water energy for Empoleon and Fighting energy for Terrakion and Stunfisk. This deck build is designed for offense and for countering Empoleon’s Weakness to Lightning types. It also is very effective against the likes of Darkrai EX. One of the things I personally like about this build is its ability to deal consistent damage regardless of your opponent’s bench. Scramble Switch can be substituted for Computer Search as it adds an extra Switch and allows you to remove the energy from a damaged Terrakion, move it onto an undamaged Terrakion, and then Max Potion the damaged Terrakion. Energy Switch and Exp. Share are also possible techs, as both cards give you Energy movement that allows you to set up Terrakions quickly. Mewtwo EX is a very useful attacker in an Empoleon deck. It can take down other Mewtwos, which are capable of sweeping Empoleon completely off the field. It is also an excellent counter to Keldeo EX and other high-Energy attackers. There are a few interesting tech options for this version of Empoleon. If you are in a Big Basics heavy area, try dropping the Roserade line, two Water Energy, and a Recycle for two Sigilyph and three Psychic Energy. Another interesting option is to drop a Mewtwo EX for a Tornadus EX. This, combined with Virbank City Gym and Hypnotoxic Laser, gives you the ability to deal out huge damage very quickly. The Richard Parker of Pokémon. Landorus has excellent sniping power, 180 HP, and a resistance to Lightning types. He serves as a strong counter to Lightning types and Darkrai. Empoleon/Landorus actually made Top 32 at the Utah Regional. The strategy here is to use Landorus EX for early offense and to put damage all over your opponent’s field. Hypnotoxic Laser and Virbank City Gym are both important to the early offense aspect of this deck. The next step is to start whacking away with Empoleon and to continue setting up Landorus. There are not a great many tech options here, but a Scramble Switch could make things interesting and help you set up a quick Land’s Judgment. Colress is a very good two-of in Empoleon decks and may even be good as a three-of. Its power in Empoleon decks comes from the need for a full bench that Empoleon has. Colress acts as the Professor Juniper of Empoleon decks because while Empoleon cannot afford to discard vital resources, it does need a powerful draw source. That is what Colress does perfectly. Recycle is turned into a Dowsing Machine for anything with the correct roll of the dice, and it is especially useful in the Mewtwo build because it allows you to get Double Colorless Energy out of your discard pile. Recycle can be a great two-of in Empoleon because of its incredible synergy with Diving Draw. Virizion is a great starter when you have absolutely nothing. She lets you draw two cards for one Energy. And if you’re gutsy enough with your build, you can tech Blend GRPD and Sigilyph, which will give you access to Leaf Wallop, which would give you a nice counter to Blastoise/Keldeo. Sometimes I find myself in the need of an energy but cannot get one. Energy Search gives the deck a consistency boost and can be easily accessed by Skyla. Often that one Water Energy is what you need to Max Potion away the damage on your Empoleon and to then recharge and use Attack Command. Energy Switch is useful for setting up quick Terrakions and Landoruses. Energy Switch is also highly useful for conserving Energy when playing Max Potion to heal Empoleons. Cheren gives you an extra three cards into your hand. It is a solid draw supporter in Empoleon decks and helps to supplement Diving Draw. How badly I need Shiny Empoleon. This is one of the main reasons I am attending the Plasma Freeze Prerelease Event. Shiny Empoleon is one of the most desirable cards in Plasma Freeze and makes your Empoleon deck look really good. In reality every deck gains this. Float Stone is a Tool that gives the Pokémon it is attached to free retreat. This is a massive blow to the power of Hypnotoxic Laser because Keldeo EX can use Rush In to remove the Poison and Sleep, then retreat for free back into your attacker. Float Stone will also help with retreating Terrakions. Empoleon does not gain much else from Plasma Freeze, as Ghetsis is not a very good Supporter and there are no other significant cards that can help Empoleon, unless you want to attach a Plasma Badge to Empoleon and bench a couple of Deoxys EX to add damage to Empoleon’s attacks. Empoleon is one of the most underrated cards in the format. It has three attributes that no other card in the format has: the power to abuse Max Potion, built-in draw support, and it only gives up one Prize. It forces Rayquaza EX to discard three Energy to take only one Prize while an Attack Command with a Laser can generate a knockout going into your turn for two Prizes. It does very well against Big Basics because it hits the weakness of Landorus EX and can OHKO it, beat Tornadus EX by abusing Max Potion, and is not OHKO’d by Lugia EX. It is also successful against Darkrai EX because of Max Potion and the Terrakion and Landorus EX versions are very difficult for Darkrai to beat because of its Weakness to Fighting. Klingklang/Cobalion does not stop Empoleon because it is not an EX. 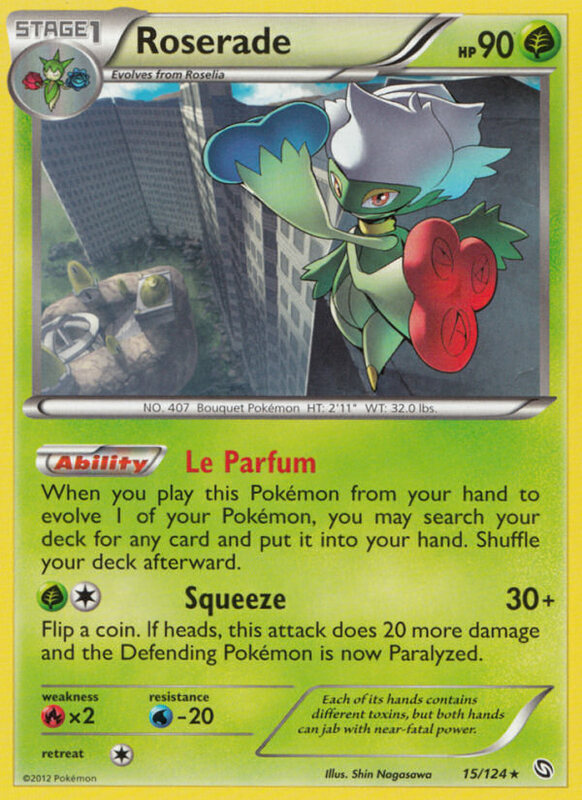 Roserade is another card that helps Empoleon greatly and is another underrated card that Empoleon takes advantage of. 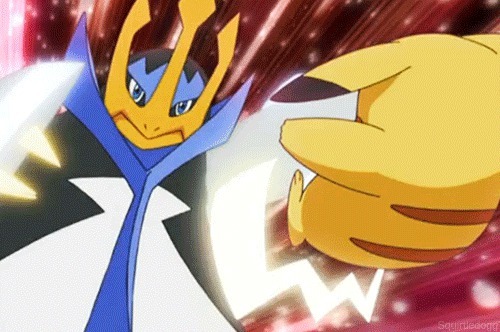 Empoleon has the potential to be a force at Battle Roads and possibly at Nationals as well. I’m disappointed you didn’t include Exeggcute PLF. It’s AMAZING in this deck. Also, the article’s a bit late so it isn’t relevant. Perhaps you should’ve waited to test with it for the Plasma Freeze format and then went more in depth for that. A tournament report included could’ve been cool too, but that’s no big deal really. It seems like you just thought up lists and then posted them without really testing them. The article itself was by no means BAD though, but exeggcute…! Why is adding a 30 HP donkable… snipable basic good for Empoleon again? I can see minor synergy with Pokemon Communication/Diving Draw. Perhaps a 1-of. But… Piplups are going to be donked by Thundurus, and adding another donkable starter to the deck seems like a terrible idea. Empoleon/Dusknoir or better Jauche.dec is the best Empoleon variant atm. Great artilce! I’ve been waiting for something on emploeleon for a while now, but i feel that our steel winged friend won’t survive plasma freeze. Espically when thunderus ex can pretty much donk eveything in most of your builds, and if that weren’t enough, plasma kyurem takes care of landy + stunfisk with lugia taking two prizes on a terrakion and doexys giving out extra damage and shutting off the mew + mewtwos. Also, props for the Life of Pi reference, funny though how landours really is our Richard Parker, supporting us as a turn one attacker and a strong, bulky EX. 1 of is good…Empoleon needs something to discard consistently. I guess so. I think the problem is we’re considering empoleon as if it’ll be highly competitive. If we want to just say “whelp, I’m running empoleon so I lose to TDK,” then a one of is great in every other matchup. Yes! Finaly somebody els using recycle ^_^ Most people really underestimate it. Wouldn’t be so close to my worlds invite if it wasn’t for that card. Thumbs up. But really… Empoleon after Plasma Freeze? What are you gonna do when a Thundurus EX with 4 Deoxys EX starts OHKO’ing your main attacker for 1 energy. His meant Thunderus ex, Doexys, and plasma Kyurem. But that deck isn’t anything without lugia so it should be TLDK. I don’t know about Exeggecute. 30 HP is too little for me. I’ve been testing with a Mew EX to eliminate Deoxys. I was tempted to but the space just isn’t there in Empoleon. Plus you’re essentially limiting yourself to three rare candies for Empoleon. Colress works really well. Started testing it the otehr night. I’ve actually dropped my Supporters down to 7 now. The problem is, you said up top that you were going to write about Empoleon/Landorus/Dusknoir. These variants aren’t too bad, but I disagree with the Supporter count. I would at least include a large count of RR to thin your deck early. My personal preference on Empoleon right now is Empoleon/Bouffalant/Mewtwo and Empoleon/Articuno/Bouffalant. The first one is actually pretty good, and the second one is a lot of fun. With 1? Or how much effort do you put into countering Thundurus/Deoxys. It’s an interesting idea, but also a dangerous way to go. Both Kyurem, Snorlax and even Deoxys itself can OHKO Mew EX back. After taking out 1 Deoxys, Thundurus will still OHKO Empoleon with a laser. It seems like a prize race you’re gonna lose. Darn it forgot to edit that. I thought I got it. Working on that right now. BTW Landorus/Mewtwo rolls through ThunDeoxys. Deoxys counters mewtwo, and kyurem PF counters landorus. How does it roll through it? From the very moment Dark Explorers scans were out, Empoleon has been hyped. And from the very moment we started talking about that set, I have said I do not like the card, and I have not in any format. You can build the deck in about a thousand ways, but it never solves its core problems. 1) Empoleon players usually say they have a favorable prize trade, but in reality I think you’re playing from behind from the very start. Yes, if you 2HKO an EX while they 2HKO you, that’s favorable for Empoleon, but this is just speaking about the attacking exchange in a vacuum. It’s not taking into account that that Tornadus EX you’re whacking at might have OHKO’d a Piplup or two before you got your Empoleon out. It’s not taking into account that Tornadus EX is just one Pokemon, one slot in your deck, one turn to play down, whereas building an Empoleon takes significantly more resources and luck. This “2 for 1” prize trade also doesn’t exactly work out when you throw in cards that can OHKO Empoleon (Raikou, Mewtwo) or cards that can snipe to build up extra damage (Darkrai). 2) The deck has to deal with both not having free retreat and having to manually attach. Both of these limit its flexibility a lot. It makes it tougher to play around Laser (especially when it puts you to sleep), it makes it harder to power up attackers out of nowhere, and it strains your resources. And even though the deck only needs one Energy to attack, this is a big deal, especially when one of your main selling points is Max Potion. 3) Attack Command’s damage can be limited by your opponent. They can keep their bench small, and turn Attack Command into a 3HKO on EXes. This is especially easy if you play Eviolite, which might not be as relevant anymore (I still think it’s good, but most people have cut it), but it definitely was big for a huge part of the season. With just two Darkrai and a Sableye in play, Empoleon’s damage cap on an Eviolited Darkrai is 70. That’s just awful. And every time you take a Knock Out, you remove one Pokemon from play. 4) It’s a setup deck, but unlike Rayeels or Blastoise, it does not start making enormous swings once it has made setup. It just kind of chips away at its opponent, hoping to win the prize trade. When a Rayeels deck gets three Eels in play and gets their Energy circulating, every deck (except I guess Garbodor) is in huge trouble. When an Empoleon deck even gets three Empoleon in play, it still isn’t close to winning. 5) The deck feels like a jack of all trades, master of none. Yes, you can put a Terrakion in your Empoleon deck with Energy Switch, and that lets you Retaliate a Darkrai…but is the deck really that good at such a thing? Considering how hard it can be for accelerating decks to pull this combo off (think Terrak/Eels or Darkrai/Terrakion…again, I’m not just talking about the Plasma Storm format), how consistently can Empoleon do it? From my experience, not very much so. It feels like Empoleon always tries to do things by beating around the bush by dedicating so many slots to the Empoleon line and everything needed to support it. I’ve seen variants that use Hammerhead, XBall, Retaliate, all that good stuff, but have to do it later than usual or miss a beat somewhere mid-game because they didn’t have room for all the great cards in the format that work with it. I will readily admit that Empoleon does have some advantages. It’s very good against Landorus, and it’s pretty good against N (I say pretty good because you’re actually completely screwed if you get N’d on the turn your last Empoleon is KO’d). But I don’t feel like this is worth all the big sacrifices above. I think I’ve dropped a total of 2 games to Empoleon in my entire tournament career, and one of these involved going second with a Stunfisk start, and having to manually drop a Ho-oh on the field in order not to get benched out vs a turn 2 Empoleon. And no one that plays Empoleon really cares about any of the problems you listed. I could argue most of those points, but I’m not going to. You wouldn’t listen anyway; you’re completely dead-set against Empoleon. Even if you went to a tournament, and lost to 6 Empoleon decks in a row, you still wouldn’t think it’s a good card. Go back to playing your big bad EX decks, and we’ll still be here having fun with Empoleon. Nothing you can say will change that. You know, everything he said is very valid. And tournament results support his position. The burden of proof is on the Empoleon player. I’ll add, I love Empoleon. Since the rotation, Empoleon/Accelgor is still probably my favourite deck. But the card and deck have been extremely underwhelming throughout BW-on. Honestly, the most success Empoleon has seen was from Emp/Acc in BW-DRX, and that’s because RayEels hadn’t developed itself yet and Darkrai + Darkrai/Hydreigon were kings of the format, and hated auto-paralysis. And even then it was only Tier 2 at best. As it stands now, Empoleon is doomed to never see high Tier competitive play again. Thundurus EX takes a major dump on the deck, and all the problems with Darkrai, Tornadus EX, Mewtwo EX etc… still exist. Even Landorus can donk, and punish you if you go second. I would be happy to participate in a dialogue about Empoleon. If I just thought it was a bad card and that was that, my post would have been about 6 paragraphs shorter. It appears to be you who is not open to discussing the merits and faults of Empoleon. I’m not sure why you think you know so much about me and the way I rate cards or decks. Or why I should “go back to playing with EX decks”, as if that’s something dirty. Or why you seem to be implying why I would not want you or anyone else to play Empoleon. Go ahead and play whatever you like, have fun, knock yourself out. But the moment you claim Empoleon is anything more than a mediocre deck for anyone who wants to win a tournament, I will be there to argue the opposite. I guess my major problem is that you come into this article on Empoleon, and basically say that it’s terrible. Not, you know, try to help people who want to play it, which would actually be constructive. Sure, some people want to only play the best 2 or 3 decks in the format, but others actually just want to play a deck because it’s fun. Why not help them instead of ridiculing their decision? Since you say that you wouldn’t have written as much if you just thought Empoleon was bad, I’ll ask you. Why did you go into so much detail about why you hate Empoleon? I don’t know about you, but I’d rather see variety on the front page than just Darkrai, Landorus, Eels, and Blastoise all day. I didn’t say Empoleon is the best card in the world, but it has actually won some tournaments, so I would say it’s at least viable as a deck. Certainly not the best, but there are far worse cards to use. Everybody knows that Empoleon has its share of problems But instead of just saying that it’s a terrible card and forgetting about it, why not try to get around those problems? Why is it a major problem that I tell people I do not have a high opinion of Empoleon on an Empoleon article? Should we all just sing the praises of a deck simply because it’s being featured here? The other side of the coin can and should be brought to light. How is what I said not constructive? If I believed Empoleon was not a good deck, don’t you think it would be more helpful from my end to tell people why, so that maybe they’ll use a different deck and have more success? Once again you throw the term “fun” in there. From my perspective, winning and fun are two completely different things (although with an overlap – I have fun when I win). I have never said everyone should always play the best decks always, or that nobody should be having fun. Go play bad decks if you like doing that, nobody is stopping you. I am merely saying, if you are looking to do well in a tournament, Empoleon is a bad choice. I’m not sure if you read my comment properly, but I’ll clarify. I do think Empoleon is pretty bad. But I don’t think it’s just bad, I think it’s also overrated (coincidentally, anyone defending Empoleon will tell you it’s underrated). I thought this article would be a great moment to lay out my arguments against those people. tl;dr If you have fun playing Empoleon and your goal is to have fun, keep playing it. If you claim Empoleon is a good deck, I’m inclined to disagree and I’ve never heard a convincing argument that would make me second guess that. Mekkah’s comment was one of the best things posted here in a long time. Do you know what people who want to play Empoleon need? A full explanation of the problems the deck has so that they can make an informed choice about using it, and prepare for when those problems arise. That’s great, me too. I don’t think I ever said the article should just be thrown off the front page or something like that. It seemed like a decent article for someone who is set on playing Empoleon. If you think I want to ban all thoughts, articles and decks that don’t involve standard fare, you are missing my point completely. Why would you bother working around Empoleon’s problems? There are too many of them, and the payoff will always be a mediocre Stage 2 Pokemon that provides a little draw support and a little offensive power, in exchange for about a million slots in your deck. There. That’s exactly what I’m talking about. That doesn’t help anyone. I’ve given a very detailed explanation already. I’ve yet to see anything from you, other than “you just don’t want others to have fun” and “you just hate Empoleon”. Why don’t you tell me why you would work on fixing Empoleon’s issues? Why do you think it’s worth it? Why don’t you address my arguments instead of short circuiting the discussion every time? Are you serious? Lugia is simply a tech. In my testing, the deck is much more consistent without Lugia anyways. Sheesh, just call it Plasma. You even agree, that most Pokemon can’t OHKO Empoleon very easily. The ones you mention as cards that can OHKO Empoleon are Raikou and Mewtwo. I haven’t seen Raikou used against me in several months. Maybe he’s popular where you are, but it’s not something I consider a popular threat. Mewtwo needs 6 Energy on it to OHKO without HTL (which only drops that by 1). Loading up your Mewtwo with 6 Energy is a bad idea for a couple reasons. First, it’s easily revenge killed by opposing Mewtwo or Mew. Second, when it is KOd, unless you’re running Eelektrik, you’ve lost 6 Energy. It seems to me losing 6 Energy would set a player back a couple turns, but, what do I know? 2. Free retreat is the only thing you mention that has any merit here. But really, how hard is it to run a couple switch? It’s not like you have any problem getting them when you need them with Diving Draw and Skyla as the main focus of your deck. Having to manually attach is not a problem for Empoleon. Let’s do the math. Your main attacker needs ONE Energy. You can attack ONCE per turn. At most, how many Energy do you need to attach a turn? ONE. If you aren’t getting OHKOd every turn, that’s even easier. 3. Yes, this is a valid issue. Your main attacker can be limited to doing 70 damage a turn. However, most Empoleon decks are prepared for it. I guess you didn’t notice, that the first deck listed has HTL? Or that most other Empoleon variants have additional attackers? Usually, your secondary attacker(s) is meant to take care of the potentially low damage output of Empoleon. Terrakion, Bouffalant and Landorus can all do a lot better against Darkrai. That’s exactly why they’re in the deck. They don’t just sit around looking pretty on your bench all day. 4. No, Empoleon doesn’t hit like a truck. But it’s consistent. You lose an Empoleon, and big deal, you have 2 more already on your bench. All they need is 1 Energy. I don’t know about you, but I’ve always found it incredibly easy to get multiple Empoleon out after the first. Eels aren’t any easier to get out after you have one or two out. You can’t just stop an Empoleon deck from working once it’s setup. With RayEels, you lose an Eel or two, and you have a hard time recovering. With Blastoise, you lose your Blastoise, and you need to setup a new one. As I’ve said, Empoleon is incredibly easy to keep going. I’ve heard lots of people talking about how they lose momentum late game, and Empoleon just does not do that. Empoleon seems to get stronger the longer the game goes on. 5. I’m not really sure what you mean with this point. Your main point seems to be that it’s harder for Empoleon to pull off an Energy Switch combo than other decks. When your main attacker needs one energy, and your secondary attackers usually need at most two, it’s not essential to use Energy Switch every single game. But when I do need it, I haven’t had problems digging through my deck for one. In fact, I’ve had better luck using Energy Switch with Empoleon than I have with Ho-Oh. Finding an Energy Switch is a lot easier when you can just practically look through your deck until you find one. So anyone interested can weigh in there. I think people are overlooking that ‘Diving Draw’ acts a pseudo-supporter so you can get away with playing less supporters than ‘normal’ decks. If you build a consistent and unclunky (as unclunky as a stage 2 deck can be) you find that just having a few Empoleon with a Skyla or Cheren now and then really help you go through your deck. With 10 supporters in deck, you start 1/4 of your games supporterless. I’d honestly expect that with only 8 supporters, you start around 37% of your games supporterless. At that point, it’s like you’re playing a modified starter deck. When do you start keimo? When do you learn how to spell? It’s the Japanese spelling. Ha ha. Let’s end this thread now. Oh, I tried playing one of these variants. Granted I only played 3 times but I was not getting set up at all. One match went to the 23rd turn (so 12 turns to me) where I was just hanging on with stunfisk and piplup with the help of catchers wrong-footing the opponent. It was really painful to play. It needs some more supporters to increase reliability a bit more. Generally I am a fan of the less common decks so a big hurrah for this article. I get a bit bored of playing the same old big bashers.